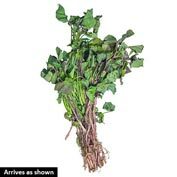 Sweet Potato Bush Porto Rico | Gurney's Seed & Nursery Co.
110 days. 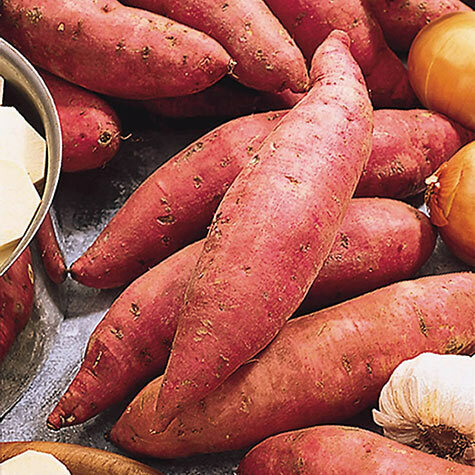 Dependable red sweet potato adds taste and nutrients to your table. Compact bush-type plants yield well; produce small runners. Good-size potato with tapered roots. Full-flavored, delicious orange flesh is some of the best available for baking. Height: 12 - 30 inch vine. Spacing: 12 - 15 inches between plants, 3- 4 feet apart. Depth: 2 - 3 inches. Spread: 2 - 3.5 feet. Color: Purple - light pink. Foliage: Green, lush, heart-shaped foliage. Fruit: Copper outside skin, light, sweet flesh. 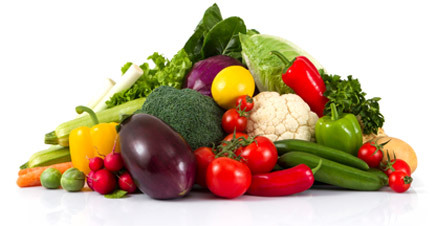 Soil Requirements: Fertile, well-drained sandy loam soil. pH 5.0 - 6.5. Growth Rate: Slow - Medium. Comments: Bush-type, heavy yielder, small runners. Ideal for gardens with limited space. The first of the red varieties. May dig early for small potatoes. Set plants out 1 - 2 weeks after danger of frost is past. Soil temperature should be 60 degrees F. Mound soil over row as plants grow until the ridge is 8 - 15 inches high. Fertilize before planting and 3 - 4 weeks after. Cultivate to keep vines from rooting where they touch the ground. Harvest is determined by root size, sweet potatoes do not ripen; harvest immediately if nipped by frost in fall. Cure 6 - 8 days at 85 degrees F. and 90% humidity after harvest. Store at 55 - 60 degrees and 85% humidity (low humidity causes shriveling). Spread: Up to 20 feet in warmer areas. SPECIAL CONSIDERATIONS: IDEAL SWEET POTATO FOR GARDENERS WITH LIMITED SPACE. 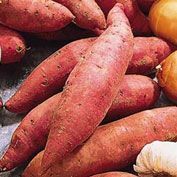 DEPENDABLE RED SWEET POTATO WITH SWEET, ORANGE FLESH. 12 - 30 INCH VINES, SPREADS 2' TO 3 1/2'. USES: OLD FASHIONED FLAVOR, EXCELLENT FOR BAKING. HEAVY YIELDING.